One hour class followed by one hour optional hoop jam. Next date: Friday 12th April from 7pm. 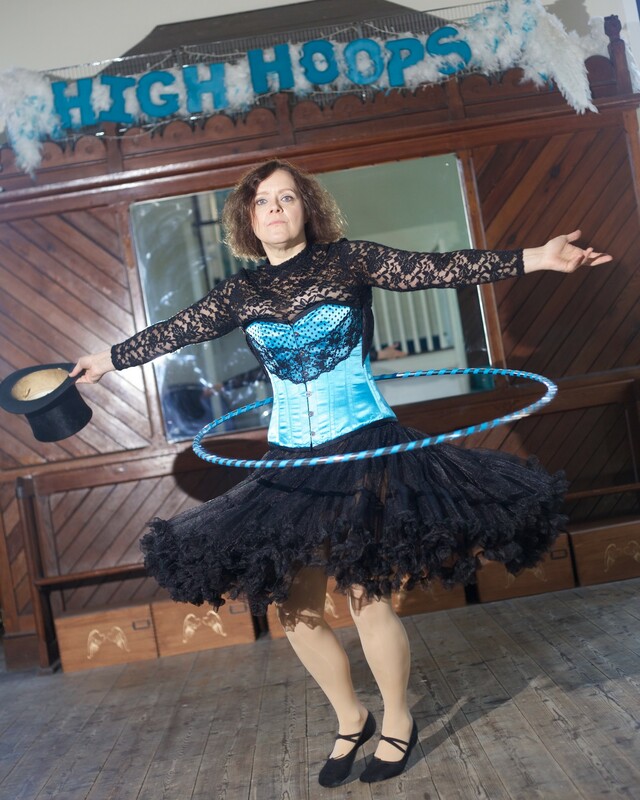 If you think you can’t hula hoop then come along and amaze yourself. There are just a few common mistakes which people make and once you’ve corrected those, anyone can hoop. 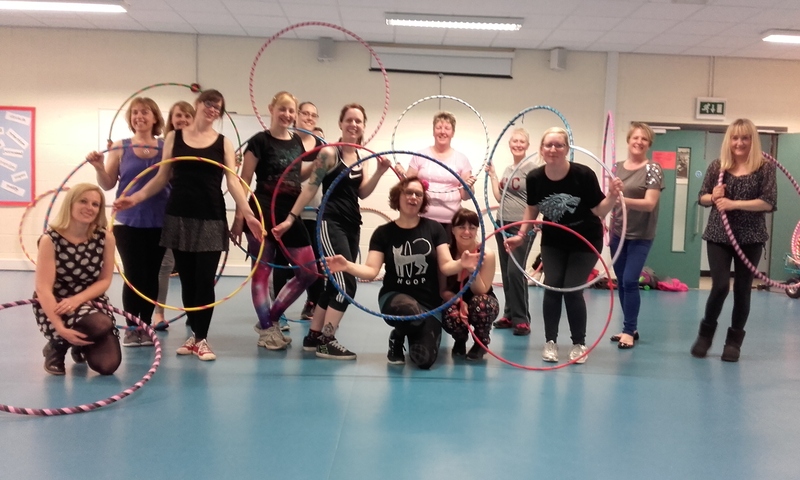 High hoops have never failed to get even the most disbelieving student hooping! Please wear comfortable sports clothing, such as t-shirt and leggings, and shoes which cover your feet (no sandals) as dropping your hoop is part of the learning process. Don’t forget a bottle of water, hooping can be quite tiring! 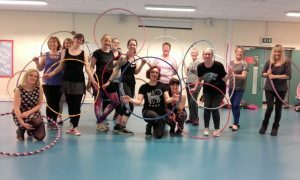 One-on-one and small group hula hoop classes available. £36 for one hour for up to 6 people at The Old Church in Deighton. Please message me for available slots. 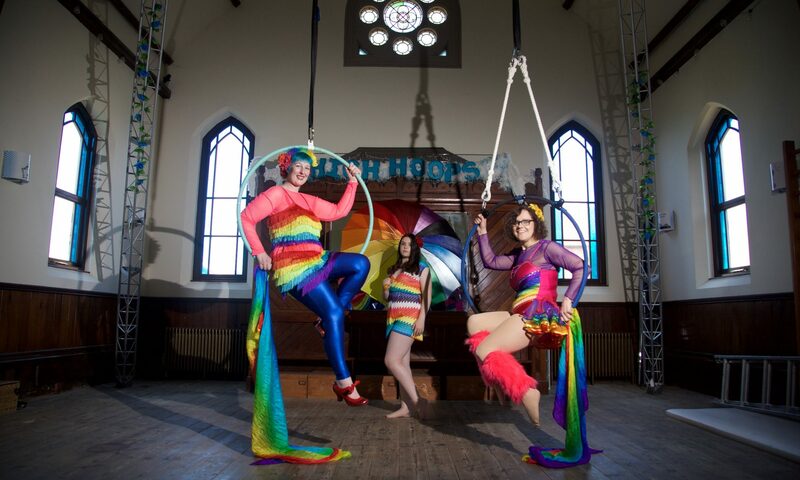 Why not try aerial dance too?